It is interesting to me that the three world religions that have the highest incidence of conflict and war are the three “religions of the book”. Judaism, Christianity and Islam have the dubious distinction of having fought most amongst themselves and others. As one whose initial, adolescent and subsequent experience of God has been direct and thus mystical, I think I know the reason for the conflict. Some things are just impossible to put into words. To presume to capture, or at best. describe the ineffable in language is almost impossible. The most eloquent and reasoned statement of belief is immediately vulnerable to misunderstanding and conflict. As I read today’s gospel, I was reminded of this difficulty with descriptions. 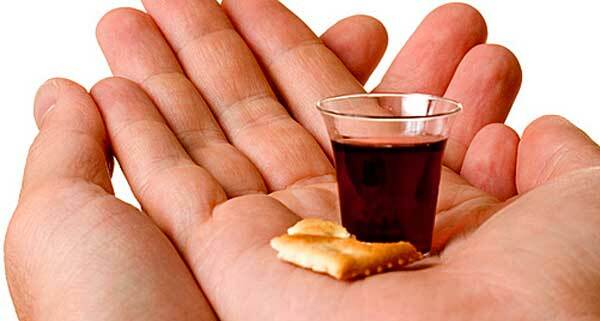 Eating Jesus’s flesh drinking his blood? What on earth (or in heaven) is he going on about? Whilst having to think coherently about something to say on Sunday, I am also beginning my newest book. Yes a real paper version, with “pages”, purchased last week at my favourite bookstore. It is by Kevin Nelson MD Professor of Neurology at the University of Kentucky and titled, “The God Impulse: Is religion hardwired into our brains?“. It is early days. I am only on the thirty third page, but already I am engaged. At the moment Nelson is reminding me of the monumental work of William James in “The Varieties of Religious Experience“. It is at this point that the book intersects the Sunday gospel. Nelson is outlining on page thirty three the four qualities that James listed for mystical experience. If like me you are grappling with the cannibalistic communion that John’s gospel is describing, these four qualities may help? It is somehow beyond language. It imparts knowledge that is above normal human understanding. It is of brief duration. The person having the experience is passive. The first statement above is key to the text this week. The encounter Jesus is describing does, in a sense, defy description. That is why he uses the profound language of mastication, ingestion and absorbtion. To even begin to take this language literally would be disastrous. This is exactly the problem the religions of the book have. “Literalism is idolatry” or so says the British Philosopher Owen Barfield. To expect the already challenged language of our beloved mystical religions of the book to yield literal, utilitarian instruction manuals is not only silly, it is downright dangerous. So I hope this Sunday, not to explain this gospel passage in any way. I hope not to give my hearers easy recipes for action. I hope only to immerse them in the mystery that Jesus is intimately masticable, ingestible and absorbable in ways that defy understanding but which can be life transforming. Posted in Conflict resolution, Deconstructing Power, Healing, New Interpretation of Scripture, Sermon, Spiritual Therapy, UncategorizedTagged biblical literalism, communion, eating jesus flesh, mystical union, religion of the book.